Discussion in 'Non-Indian Domains' started by domainking131, Jun 6, 2017. 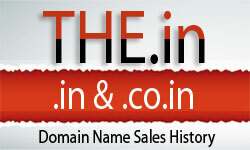 What is your biggest domain sale in terms of ROI since the time you started domaining? As for me, I usually deal in hand reg names and look for flipping as soon as I buy them. Prashant Sharan and Jeff like this. Januka and Jeff like this.